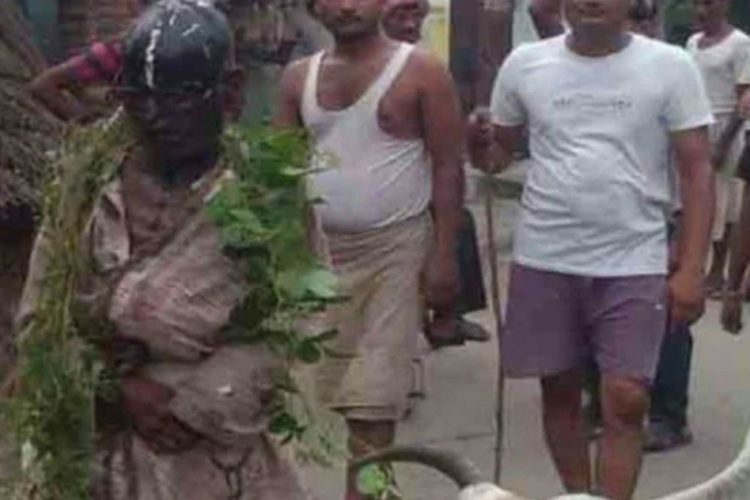 In another example of cow vigilantism, a 70-year-old man was tonsured, face blackened and then paraded in a village in Uttar Pradesh, after a group of Gau Rakshaks accused him of trying to abandon his ailing cow. 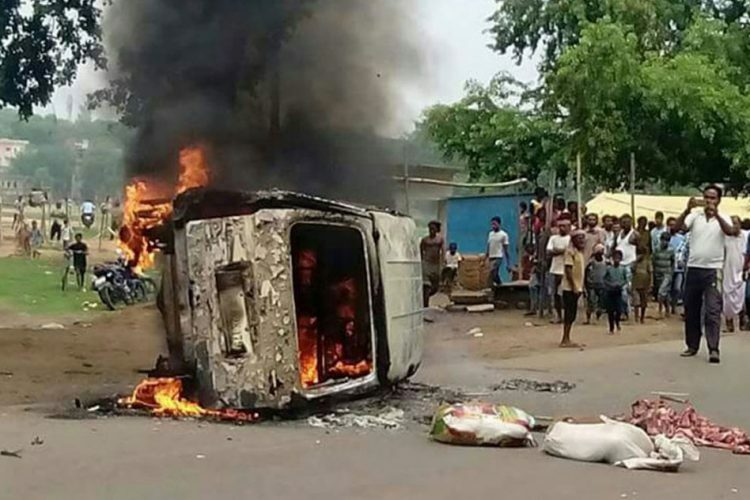 This incident took place on August 30 when 70-year-old Kailash Nath Shukla was passing through Nandpur village in Balrampur while taking his ailing cow to another village for treatment. 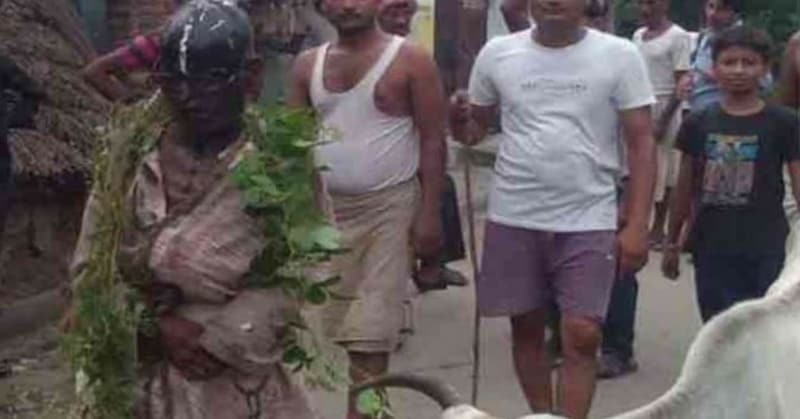 A group of men who claimed to be Gau Rakshaks stopped him and then accused him that he will abandon the cow. They claimed that the old Bramhin would sell his cow to a Muslim in the village. The old man pleaded and cried and tried to tell everyone the reason of his visit but his voice fell on deaf ears. 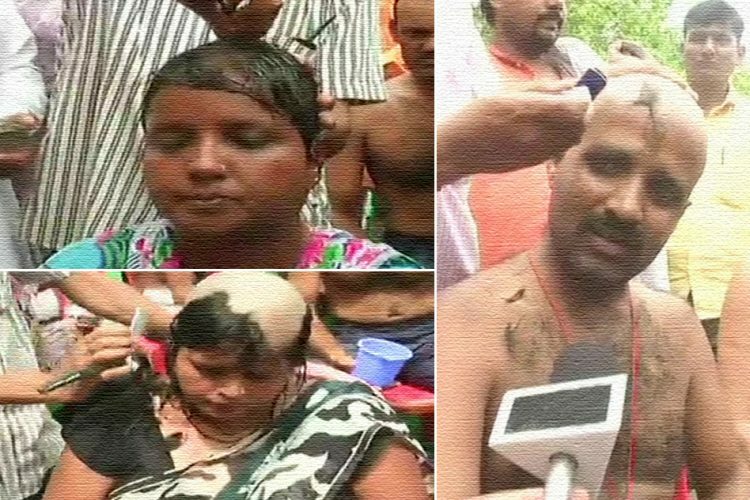 The mob then shaved his head and beat him black and blue with sticks. According to DNA, the old man was then thrown in a gutter. The enraged mob then blackened his face and chained him. 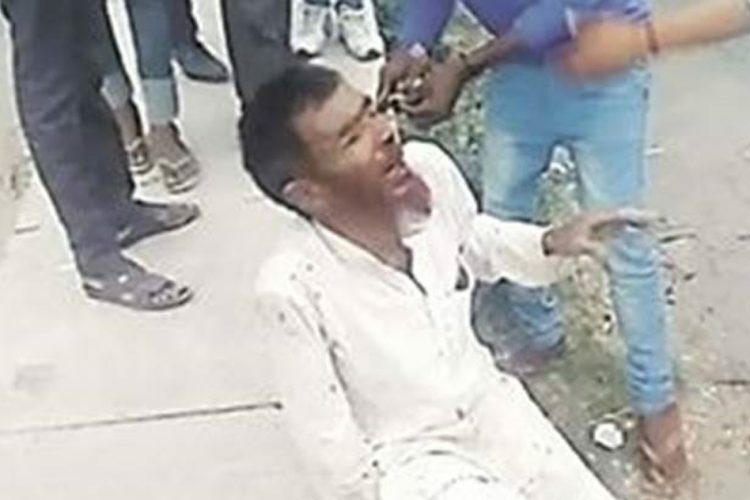 He was then paraded in the village with the cow vigilantes whistling and warning everyone of the same consequence if a cow is hurt or insulted. Kailash then went to the nearest police station to register an FIR but it was not lodged. When the Superintendent of Police Balrampur Rajesh Kumar got a wind of the incident, he ordered for the arrest of those who had beaten him. Four people have been arrested related to the crime. “A case has been lodged and more arrest will be made after identifying those involved in beating the old man. An inquiry has also been ordered against policemen who refused to lodge his case. Action will be initiated against them too,” assured the SP. Incidents like these do not surprise people anymore as it has become a common and everyday occurrence. 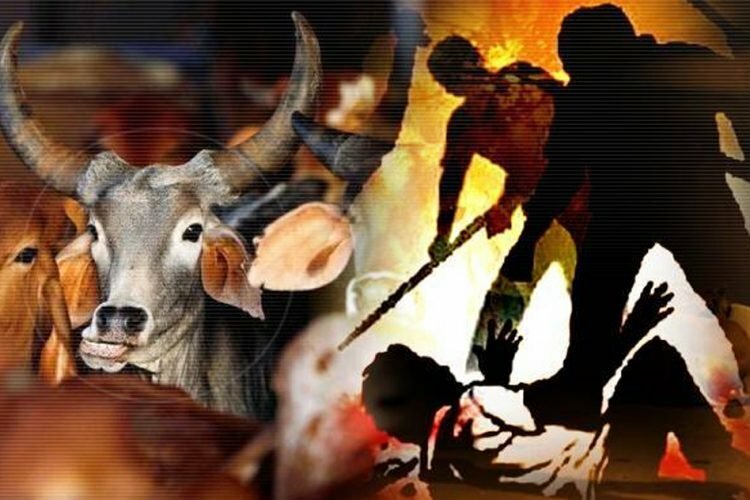 Recently, a 20-year-old man in Uttar Pradesh’s Bareilly district was beaten to death by a mob of over 50 villagers after he and his friends were allegedly caught while trying to steal a buffalo in the wee hours of Wednesday, August 29. The incident was reported from Bholapur Hindoliya village of the district and the deceased has been identified as one Shahrukh Khan who reportedly worked as a tailor in Dubai and was recently back in the country, visiting his family. These incidents are on the rise and should concern us. 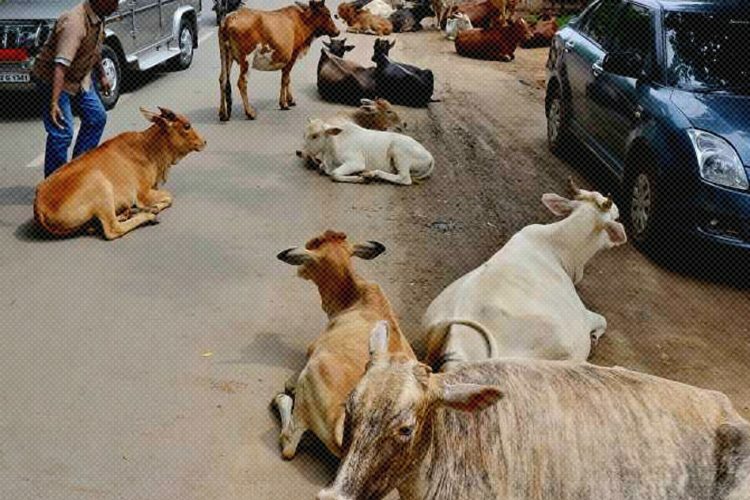 These self-proclaimed protectors of cows should be dealt with the strictest punishment and not garlanded. This time the attack has happened on someone for just carrying his cow to a vet. We are in a dangerous time where people are taking the law into their hands and now neither the religion nor the caste of the victims matter.